World Animal Protection (formerly WSPA) has praised Devon and Cornwall Police for being one of the leading forces in the country tackling wildlife crime. Officers have recently been trained to combat bat persecution and have made significant arrests in an investigation into dog-fighting. Devon and Cornwall are also one of the leading forces in the UK feeding intelligence back to the National Wildlife Crime Unit (NWCU). Vitally, this provides an accurate perspective of wildlife crime intelligence across England and Wales. Read the Full article HERE. SERGEANT DAVE KNIGHT FROM DEVON AND CORNWALL POLICE HAS FINALLY RETIRED AFTER YEARS OF THREATENING TO DO SO. In 2013 Dave was honoured with a lifetime achievement award for his dedication to tackling wildlife crime. Dave joined Devon and Cornwall Police in 1989, and has been a wildlife crime officer for more than 15 years. He has been involved in a number of significant cases including one concerning the illegal trade of raptors. He was presented with the lifetime achievement award, which was sponsored by WWF and the Partnership for Action against Wildlife Crime (PAW), at the 25th UK National Wildlife Crime Conference. 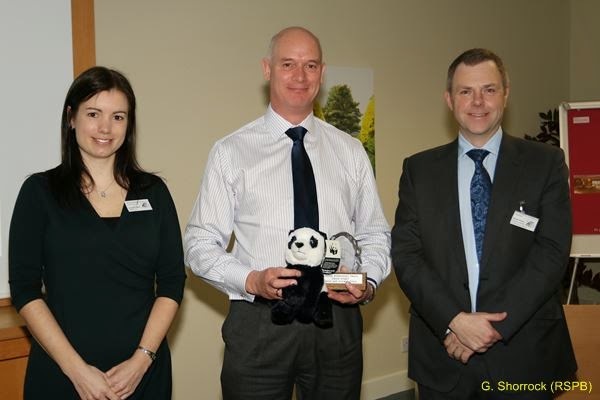 The award also recognised Dave’s work to engage staff on wildlife crime issues and his efforts to promote a clear understanding of the legislation around wildlife crime. His area of specialism is [or was] Convention on International Trade in Endangered Species the (CITES). He’s going to be a hard act to follow. Daves post will be filled by Sgt Paul Freestone.